Before :- C. L. Pangarkar, J. Criminal Revision No. 86 of 2007. D/d. 26.7.2007. Nandkumar S. Kale Versus Bhaurao Chandra-bhanji Tidke and Anr. For the Petitioner :- S. V. Sirpurkar, Counsel. For the Respondent No. 1 :- V. G. Bhambur-kar, Counsel. For the Respondent No. 2 :- Y. B. Mandpe, A. P. P.
Rakesh Kumar Mishra v. State of Bihar, (2006) 1 Supreme Court Cases 557. Sankaran Motira v. Sadhna Das, (2006) 4 Supreme Court Case 584. C.L. Pangarkar, J. - Rule. Returnable forthwith. Heard finally with consent of parties. The applicant is a police officer. At the relevant time he was working as in- charge of the Police Station Civil Lines, Akola. On 2-12-96 the non-applicant No. 1 had lodged a report with the police station Civil Lines, Akola. He had alleged that his daughter-in-law along with her relative had committed robbery, trespass and theft. The police refused to take cognizance of the said complaint of Bhaurao i.e. non-applicant No. 1. Non-applicant No. 1, therefore, filed criminal complaint case bearing No. 1280/01 in the Court of Judicial Magistrate, First Class. The Judicial Magistrate First Class in the said criminal complaint passed an order under Section 156(3) of the Criminal Procedure Code and directed the police to investigate into the matter. On this an offence was registered by the police, initially the offence was investigated by P. Section 1. Aney and later since the offence is of a serious nature the investigation was taken over by the present applicant. The present applicant filed an application under Section 169 Criminal Procedure Code before the Magistrate after the investigation and prayed for discharge of the accused therein. The present applicant also filed a summary before the Judicial Magistrate. Judicial Magistrate First Class did not accept the summary and issued a process against the accused named in that complaint case. It is after that order was passed that Bhaurao die present non-applicant No. 1 instituted a criminal complaint against the present applicant under Sections 468, 471 and 218 of the Indian Penal Code. 3. In the said complaint case the present applicant filed an application to dismiss the complaint. The said application was dismissed on the ground that no sanction was obtained by the complainant to prosecute the present applicant. The Magistrate after hearing me parties dismissed the complaint on the ground that sanction was not obtained and the complaint was barred by limitation under Section 161 of the Bombay Police Act. The present non- applicant No. 1 therefore preferred a revision before the Sessions Judge. 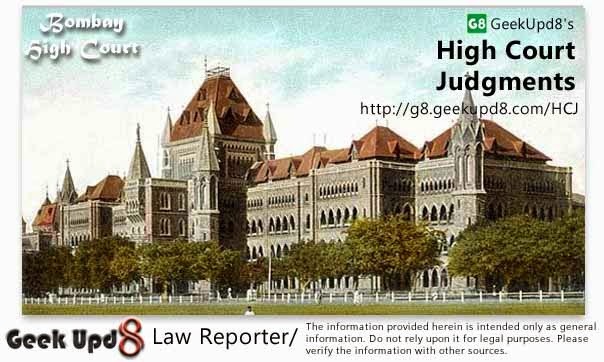 The revision was allowed and the matter was remanded back to the Magistrate with a direction that he will deal with the question of sanction under Section 197 Criminal Procedure Code and Section 161 of the Bombay Police Act after recording the evidence before charge and on hearing both the sides. Being aggrieved by that order the accuced/applicant has preferred this revision. 4. I have heard the learned counsel for the applicant and the non applicant. Class 'B' cases: Wherein no offence has been committed at all either by the accused or by any one else, but wherein the complaint is found to be "false and maliciously false". There must be a reasonable connection between the act and the discharge of official duty; the aqct must bear such relation to the duty that the accused could lay a reasonable [claim], but nor a pretended or fanciful claim, that he did it in the course of the performance of his duty"
Obviously therefore if there is a reasonable connection of act done with discharge of his duty it must be held to be official duty. In the present case what is alleged against the applicant is that although witness Deepak never gave a statement to the police a statement said to be given by him in his name was made part of investigation. Obviously Deepak had not appeared before the investigating officer and he had not recorded any statement of Deepak. The statement said to be that of Deepak is therefore, not a statement and therefore the said statement which is on record can in no case be said to be recorded in discharge of the official duty. In fact this is therefore a case of preparation of false record of investigation and preparation of false record of investigation cannot be a part of the duty and it cannot be said to be done in discharge of the duty. If that is so treated then perhaps a police officer can show the investigation having been carried out even sitting at home. 6. Therefore, when any false document is prepared by the investigation officer during the course of investigation such an act would not be saved. He can be certainly said to be acting out of bounds and therefore this brings the case out of clutches of Section 197. It is different thing when there is wrong exercise or excessive exercise of power and it is a different thing to manipulate a record to save somebody from being punished. In a case reported in Shambhoo Nath Misra v. State of U. P. and other, AIR 1997 Supreme Court 2102, it is held that fabrication of record and misappropriation of public fund by public servant is not the official duty and therefore sanction is not necessary. Learned counsel for the complainant argued that want of sanction under Section 197(1) of the Code did not affect the jurisdiction, of the Court to proceed, but it was only one of the defences available to the accused and the accused can raise the defence at the appropriate time. We are not in a position to accept this submission. Section 197(1) its opening words and the object sought to be achieved by it, and the decisions of this Court earlier cited, clearly indicate that a prosecution hit by that provision cannot be launched without the sanction contemplated. It is a condition precedent, as it were for a successful prosecution of a public servant when the provision is attracted, though the question may arise necessarily nor at the inception, but even at a subsequent stage. We cannot therefore accede to the request to postpone a decision on this question." It is thus clear that the question can be decided at the threshold. 161. Suits or prosecution in respect of acts done under colour of duty as aforesaid not to entertained, or to be dismissed if not instituted [within the prescribed period]. (2) In the case of an intended suit on account of such a wrong as aforesaid, the person intending to sue shall be bound to give to the alleged wrong-doer one month's notice at least of the intended suit with sufficient description of the wrong complained of, failing which such suit shall be dismissed. (3) The plaint shall set forth that a notice as aforesaid has been served on the defendant and the date of such service, and shall state whether any, and if any, what tender of amends has been made by the defendant. A copy of the said, notice shall be annexed to the plaint endorsed or accompanied with a declaration by the plaintiff of the time and manner of service thereof. This section to my mind does not apply at all since it is found that the offence is nor committed in discharge of the official duty or purported discharge of the official duty. It is only if the action is required to be taken for offence committed in discharge of duty or purported discharge of the duty that the Section would apply. Hence I do not find any substance in the revision. It is dismissed. Magistrate shall now proceed to the accused.